Use these handy links to find out more about some of George’s friends, collaborators and associates. Learn about the groups George performs with and find out when they’re appearing around Dallas. George plays tenor banjo and guitar in Dallas’ original fox trot orchestra, directed by Matt Tolentino. This group specializes in authentic performances of music from 1900 to 1935. George has contributed arrangements to the group. This straight-ahead jazz combo features George on both piano and guitar. The group plays standards from the Great American Songbook, classic and modern jazz tunes, and a handful of Gagliardi originals. George plays guitar in this group dedicated to traditional New Orleans jazz. Clarinetist Dave Washburn is the leader. George serves as accompanist for this female vocal group that performs a wide variety of crowd-pleasing music. Grammy- and Dove Award-winning singer called “the most awesome voice in gospel music” by Billboard magazine. A longtime friend of George and champion of his songs. The most fun you can have in a Dallas theatre. George plays piano for some of their productions, and they’ve presented several of his original musicals. Entertaining audiences of all ages by making characters come alive onstage through dramas and musicals. George often works as musical director and/or accompanist for this theatre company. 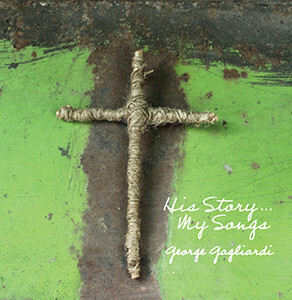 George Gagliardi is a musician based in Dallas, Texas. He is a songwriter, composer, educator and multi-instrumentalist who works in the worlds of musical theatre and church music while maintaining an active schedule performing in several local ensembles. George's newest recording is available as a free download. More info on Music page.